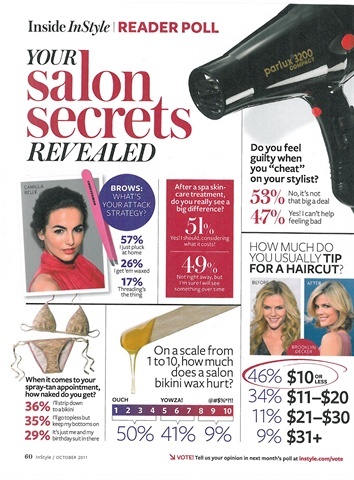 An October 2011 InStyle Reader Poll revealed surprising statistics on women's eyebrow maintenance habits. 57% answered saying they pluck their eyebrows at home, while only 26% get them waxed, and 17% get them threaded. In better news, the poll also revealed that 50% of these same women consider bikini waxes to hurt minimally, rating the pain level as a 1-4 out of 10. 40% gave it a 5-7, and only 9% said 8-10 out of 10.